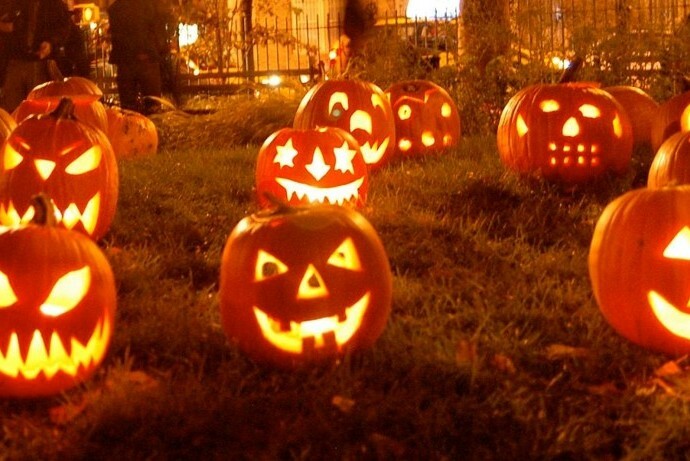 Halloween can be a fun holiday for kids, but a worrisome one for parents. Concerns about children’s safety–whether they are out in the neighborhood or back home with bags of candy–can darken the day more quickly than a black cat. But not to worry! To make Halloween a treat, please follow these safety tips. Patrol your street occasionally to discourage speeding motorists, acts of malicious mischief and crimes against children. Report any suspicious or criminal activity to Marina del Rey Sheriff Station (310) 482-6000 or in an emergency call 9-1-1. Do not give homemade or unwrapped treats to children. We are asking visitors to observe the lights out rule, and not disturb individual residents that have their lights off. Exercise extreme caution when driving a vehicle. Be on the alert for excited youngsters, whose vision may be obscured by masks, darting out into traffic. LASD is encouraging no drop offs this year, children will have to be accompanied by a parent or adult. Make sure costumes are flame retardant so children aren’t in danger near burning jack-o-lanterns. Try make-up instead of a mask. Masks can be hot and uncomfortable, and they can obstruct a child’s vision, a dangerous thing when kids are crossing streets and going up and down steps. Trick-or-treaters should always be in groups so they aren’t a tempting target for real-life goblins. Parents should accompany young children. Try to get your kids to trick-or-treat while it’s still light out. If it’s dark, make sure someone has a flashlight and pick well-lighted streets. Do not go inside anyone’s home. Remain on the porch at all times. Cross only at street corners, never between parked cars, and never diagonally across an intersection. Look in all directions before crossing the street, and obey all traffic signals. Walk, never run, across the street, and use sidewalks, not the street, for walking. Do not take shortcuts through back yards, alleys or parks. It’s hard for kids to hold back from eating their treats until they get home. One way to keep trick-or-treaters from digging in while they’re still out is to feed them a meal or a snack beforehand. Check out all candy in a well-lighted place when your trick-or-treater gets home. What to eat? Only unopened candies and other treats that are in original wrappers. Don’t forget to inspect fruit and homemade goodies for anything suspicious. By all means remind kids not to eat everything at once or they’ll be feeling pretty ghoulish for while! Halloween can be a lot of fun for parents and kids alike–if everybody remembers the tricks and treats of playing it safe. Do not permit your children to wear cumbersome, floor length or vision-impairing costumes. Reflectorized stripes make your costume more visible. Call 9-1-1 if you suspect any tainted candy. The Marina del Rey Sheriff’s Station will have supplemental staffing on during Halloween night to ensure safety for those who visit our community and the citizens that reside here. Copyright © 2019 ViewPark.org All Rights Reserved.